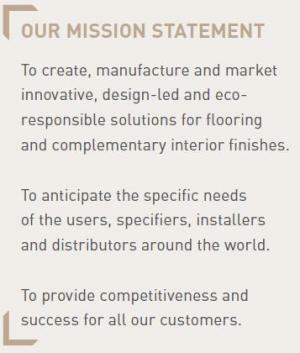 All Gerflor production sites are ISO14001 certified. We set ourselves the highest standards when it comes to environmental quality. Gerflor uses recycled materials across all our product ranges. Our new generation of looselay products reduces the use of adhesives and facilitate recovery and recycling at the end of the product's life. In addition, our products are easy to maintain throughout their lives and qualify for credits under many internationally accredited Green Building Schemes.